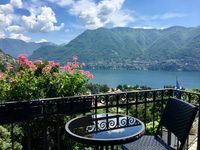 Property 1: B&b Fabi Bellinzona. The Riva Grande Darsena "Concordia"
Property 8: The Riva Grande Darsena "Concordia"
The Riva Grande Dockyard "Patria Apartment"
Property 9: The Riva Grande Dockyard "Patria Apartment"
Property 10: The Grand Dockyard "Comballi"
The Great Riva dock "Voloire"
Property 16: The Great Riva dock "Voloire"
B&B. Room to stay! Private entrance, private bathroom and private veranda. Property 25: B&B. Room to stay! Private entrance, private bathroom and private veranda. The studio was perfect for 2 people. The views were incredible and the apartment had everything we needed and then some. 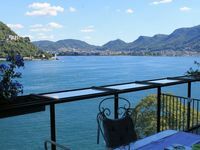 Lake Como is a special place and our stay here only added to our amazing visit. The owners were charming and helped us with ferry schedules, meals, car service and train pick up. We could not have asked for better hosts! Davide - thank you for a wonderful stay. We hope to visit again soon!! Alessandro was an excellent host and very attentive. The view was spectacular and close to everything in Cernobbio and a great restaurant right across the street. Nice yard and patio and small pool. Great place to stay.